Rudy Vanlacker, the fifth of that name, at the helm of the Brussels-based family owned and operated company for 32 years, initiated the development of Léon outside Belgium. A graduate of the Namur hotel management college, having conferred a leading place on the restaurant landscape in Belgium, he decided to export the “Mussels and Chips” concept. 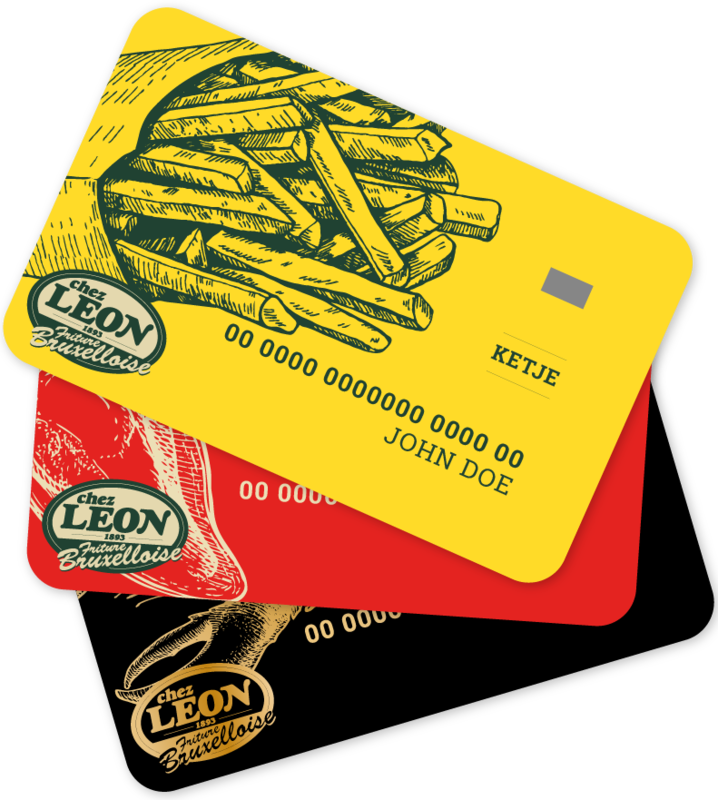 It is worth bearing in mind that “Friture LEON 1893” in Brussels is the country’s largest restaurant in terms of turnover, customers and staff members. It is also the only Belgian restaurant with trade union representation on its board. In 1980, therefore, he started exploring the possibility of reproducing the “Brussels” model. He wrote a “Bible,” a sort of operating manual for a typical LEON, and embarked on a search for partners who could help him in his adventure. They were a trifle “timid” about such a venture’s chances of success. Only financiers and brewers were interested, but only for the USA, and Rudy Vanlancker did not feel ready to broach this market so early, especially after another well known Brussels establishment had failed in New York. This should be seen against the background at the time, thirty years ago, when what we now call “theme restaurants” were still in their infancy, even in Paris. After the test opening of a “Pilot’ restaurant with independent partners on the Bruparck site in Brussels, he finally embarked on his adventure, and in July 1989 he opened the first Léon restaurant in Paris at the Place de la République. The concept caught on immediately, although it had to be given more “Parisian” tone to ensure its longevity. Excessive rigour would have stymied the launch of the product. Thus, we changed the “big” Belgian mussels for smaller ones that look more like the Bouchot mussels with which our French friends are more familiar. Same thing for the chips… because in Belgium we serve thick chips that taste like potatoes whereas in France they appreciate matchstick potatoes… plus some adaptations on the beer front. The commercial success was beyond our wildest expectations. However, LEON is also, and especially, a real Belgian brasserie, serving the entire gastronomic range of the flat country. To meet this challenge, we have adopted a strong and coherent communication policy that stands guarantee for success. The constituent elements of LEON’s success must be present in all the restaurants. Particular care is taken with personnel training. To that end, a LEON DE BRUXELLES training school has been created, where trainees learn all the culinary preparations, but also the history of the Family and the Brussels mentality. There is even a course on Brussels humour on the programme! For LEON, it is vital to capitalise constantly on the positive side of this humour that revolves around Belgians championed particularly by Coluche among others. Mussel fishing expeditions are organised every month with customers, suppliers, managers, etc. … in the Netherlands to get to know this product better. More than 70 restaurants would open in France in nearly 22 years, with the highpoint coming in 1992 when LEON opened on the Champs Elysées… On that occasion, the Brel Family had accepted, for the sake of friendship, to associate the name of Brel to the inauguration activities, including the production of a CD in limited, numbered edition of 3000 copies for guests at the opening night. This was the one and only time that the Brel name has been associated with a commercial undertaking. In 1993, Rudy Vanlancker decided to create a “solo building” so that LEON could get a foothold first in the outskirts of Paris and then in the provinces… a step that proved successful as well. The venture is still successful and Léon France has been a completely independent company since 1997. Rudy Vanlancker was keen to turn the company of his forebears into an international corporation, so he decided to entrust the control thereof to professionals who have the financial and human resources as well as the professional qualities necessary to continue the development. This company, which at one time was quoted on the unlisted securities market of the stock exchange, serves nearly 5,000,000 customers every year and generates a turnover of ± €120,000,000 on the French market alone. There is also a subsidiary of LEON de Bruxelles France and it is preparing to continue the adventure beyond France and Belgium in the medium term. After Brussels and Paris, LEON was inaugurated in London on 19 January 2012. So, if you visit our friends in England, do not hesitate to drop in at 24 Cambridge Circus across from the Palace Theatre. This capital event paves the way to greater international development, initially in Europe: Italy, Spain, Germany, the Netherlands, etc. The development of LEON abroad means first and foremost exporting, in addition to the concept of a Belgian restaurant, an ambiance, an atmosphere, a wink to the great Jacques Brel who sang “Puis on ira manger des moules et puis des frites, des frites et puis des moules, et du vin de Moselle, Viens Jef… Viens…” [We’ll then go and have some mussels, then chips, chips and then mussels, and Moselle wine… Come along Jef, … Come on..] (c. 1964 Pouchenel Editeur) Today, Léon de Bruxelles enjoys a worldwide reputation, the parent company in Brussels is established in 9 buildings, and this temple of Belgian cuisine can boast a unique success in Belgium and an unparalleled reputation in the world. We are therefore perpetuating the gourmet tradition of five generations. For more information, please contact Rudy Vanlancker.